Tony Barbuto's 28,000 mile 900SS was a strong entry in the Passion class as well which includes bikes that are ridden in with miles considered. Here's what he had to say: This machine is ridden hard and put away wet! Purchased in fall of 2004 with 4,000 miles on the odometer. This bike is ridden many thousands of miles per year from simple commuting to track days. 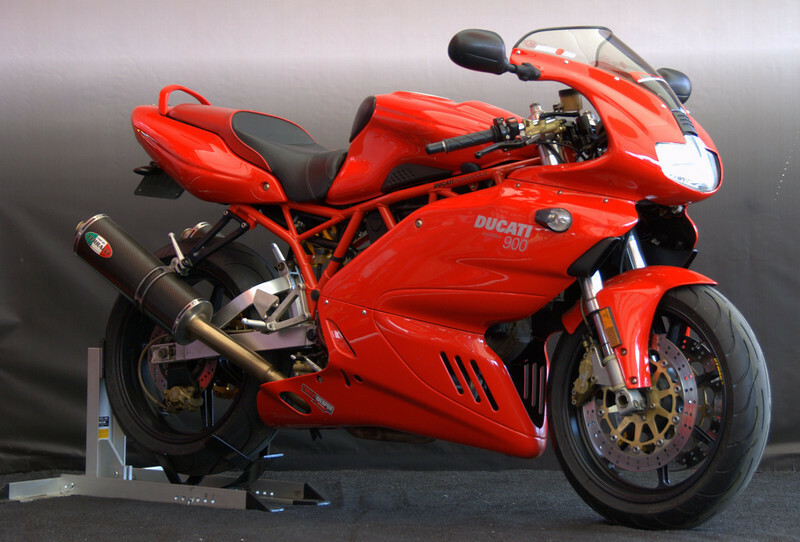 Notable modifications are Dymag Aluminum seven spoke wheels, Nichols clutch basket, Barnett clutch, Ducati Performance flywheel, JE- 11:1 pistons, power commander, modified air box, K&N filter, Fast by Ferracci exhaust. Suspension was built and tuned by Matt Carr utilizing custom 999 fork valves, penske shock and experimental geometry. Visual changes include powder-coated frame, Sargent seat, CRG levers and Cycle Cat bars. This is a daily ridden machine. This is not a showstopper. This is about passion.